We love a good collaboration and working with the guys at We Brought Beer has been absolutely fantastic this year. We adore beer at Hood and are really keen to encourage more people to enjoy beer with their food as an alternative to wine. To round off 2016 we will be hosting our fifth food and beer pairing event with them on Wednesday 7 December here at Hood. We are going to set up an extra pass at the back of the restaurant so that diners can see our Head Chef Mike Brown prepare and plate up dishes in front of them whilst he explains the ingredients and the We Brought Beer team will talk through the beer choices and the pairings we have come up with. In the weeks leading up to the event we get to test out the pairings which is certainly one of the perks of the job and with all the dishes likely to be getting a festive makeover I am really excited to try out some hearty Christmas food with some great beers. And since I passed my Advanced course in Beer I am looking forward to bringing my new knowledge to the event too! 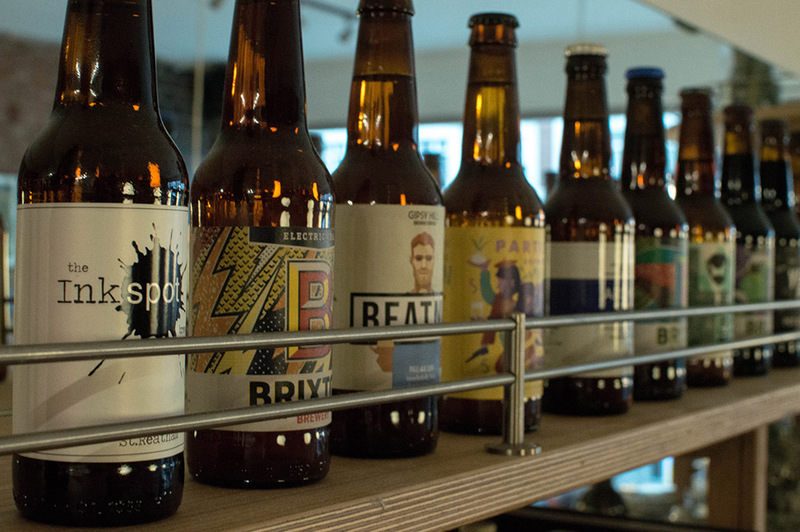 Tickets are £45 for five dishes and seven beers and are available from We Brought Beer website http://bit.ly/2g3cQPl or at their Balham shop.